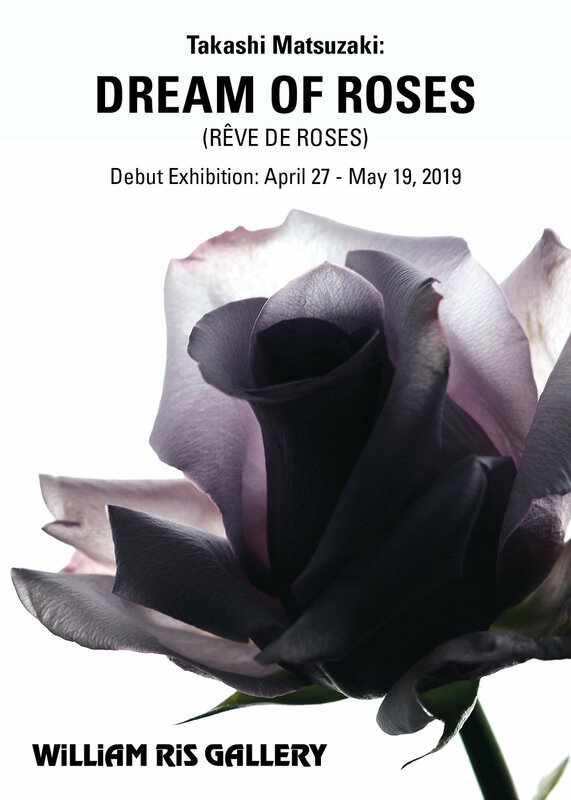 The William Ris Gallery welcomes the beauty of Spring in the form of DREAM OF ROSES (RÊVE DE ROSES), a photographic collection of roses by Takashi Matsuzaki in his debut exhibition. On view April 27 - May 19, 2019. Spring gets under way on the North Fork of Long Island heightening one’s anticipation of burgeoning blossoms, and with it the DREAM OF ROSES (RÊVE DE ROSES) exhibition, which celebrates the most popular and indisputable queen of flowers. Just as the season hints to new beginnings, this exhibition marks not only Matsuzaki’s debut at an art gallery, but also William Ris Gallery’s first show exclusively of photographed flowers. “Takashi’s work is sensual, vivid, and captures the texture, color and contrasting structure of the rose,” says Mary Cantone, owner-curator of William Ris Gallery. “The imagery is both powerful and yet fragile at the same time, and it’s this dichotomy that appeals to me.” Indeed, the images captured by Matsuzaki are unlike stock photos one often sees of roses, giving an intimate, moody, at times avant garde, and multi-dimensional view of this oft photographed flower. A frequent traveler to Paris, Matsuzaki’s color tones are clearly inspired by the city, informing the photographs with subtle dark old-world tones as well as a whiff of romantic nostalgia, a saudade if you will. In particular, the images of the opaque anatomy of a rose, its petals bare and luminous with the veins, whispers the nuance in both the fragility and strength of life, time…and love. DREAM OF ROSES (RÊVE DE ROSES) collection will be on view at the William Ris Gallery daily including Mother’s Day, for which Matsuzaki will be in attendance for an Artist Talk.